Fred Jones is a founding shareholder in the firm, and has been recognized as one of the Best Lawyers in America by Woodward/White, Inc., universally regarded by both the profession and the public as the most credible guide to legal excellence. Fred Jones, a founding shareholder in the firm, has been recognized as one of the “Best Lawyers in America” by the prestigious Woodward/White publication of that name, which bases its ratings exclusively on an exhaustive peer-review survey. Corporate Counsel magazine has called Best Lawyers “the most respected list of attorneys in practice.” The list is based on an exhaustive peer-review survey, and lawyers are not required or allowed to pay a fee to be listed. A graduate of Texas A&M and St. Mary’s University School of Law, Jones was licensed by the State Bar of Texas in 1979 and has been certified since 1985 by the Texas Board of Legal Specialization as a specialist in Commercial and Residential Real Estate Law. He is rated AV®-Preeminent™ (the highest possible rating) by Martindale-Hubbell®, based upon reviews by judges and his fellow lawyers. As a courtroom lawyer, Jones has represented other lawyers, property owners, title insurers, product manufacturers and suppliers, business owners, municipalities and counties in resolving a variety of disputes. He has handled lawsuits involving mortgages and lien priorities, ownership of surface and mineral interests, and ownership of the banks and beds of rivers. In all, he has more than three decades of experience in the trial and appellate courts. He has prosecuted and defended claims by and against lawyers and other clients in professional liability and other estate and fiduciary litigation. Jones began his legal career as a Law Clerk to the Honorable Adrian A. Spears, Chief Judge of the United States District Court for the Western District of Texas. He then entered private practice and later served as the Chief of the Litigation Section of the Civil Section of the office of the Bexar County Criminal District Attorney. Jones returned to private practice, joining the firm of Sawtelle Goode, with offices in San Antonio, and later, Dallas and Austin. While at Sawtelle Goode, Jones handled a variety of trial and appellate work. In 1991, Jones, along with his current partners, former partners Sandee Bryan Marion, John Goode, and Of Counsel John Clark, formed the firm of Goode Casseb Jones Riklin Choate & Watson. Jones currently represents several major national title insurance underwriters, their subsidiary closing agents, and their policyholders throughout South and Central Texas. Jones was tapped as the Attorney in Charge for the City of San Antonio in litigation over ownership of the San Antonio River and River Walk, as well as litigation over the validity of the City of San Antonio’s sign ordinances along McAllister Freeway (the “ugly signs” case). Later, he was one of the lead attorneys hired by the City of San Antonio to defend a multitude of “vested rights” and alleged Water Code violation claims in 14 lawsuits by a major developer in the area, and other high-profile lawsuits involving zoning and historic preservation. He was asked by the City to be the Attorney in Charge of a high-profile zoning dispute in federal court over a question of transitional housing in residential neighborhoods. He continues to represent the City of San Antonio in complex land use cases. Jones has also represented the City of Alamo Heights, the City of Castle Hills, the City of Alice and the City of Live Oak in land use, zoning and election litigation matters. 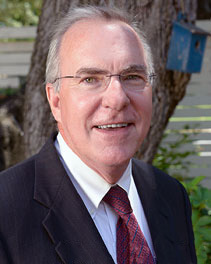 He has represented Bexar and Kendall County in civil rights, election contests, and regulatory and land use disputes. In the mid-1980’s through the early 1990’s, Jones was frequently called upon to represent financial institutions and regulatory agencies, including banks, thrifts, and conservators and receivers appointed by the Federal Savings & Loan Insurance Corporation (“FSLIC”), Resolution Trust Corporation (“RTC”) and the Federal Deposit Insurance Corporation (“FDIC”). 1976 – Bachelor of Science, Agricultural Economics, Texas A&M University. 281-300 Joint Venture v. Onion, 938 F.2d 35 (5th Cir. 1991); In Re Alamo Heights Neighborhood Association, 2009 Tex. App. LEXIS 8300 (Tex. App.–San Antonio 2009, no pet. ); Alamo Title Insurance of Texas v. First Valley Bank, 1998 Tex. App. LEXIS 7540 (Tex. App.–Corpus Christi 1998, no pet. ); Borden Park, L.P. v. City of San Antonio, 2006 U.S. Dist. LEXIS 62729 (U.S. Dist. Court, Western District of Texas, 2006); Cadle Company v. Whataburger of Alice, Inc., 174 F. 3d 599 (5th Cir. 1998); City of San Antonio v. Reed S. Lehman Grain Co., Ltd., 2007 Tex. App. LEXIS 7515 (Tex. App.–San Antonio 2007, pet. denied); City of San Antonio v. En Seguido, Ltd., 227 S.W.3d 237 (Tex. App.–San Antonio 2007, no pet. ); City of San Antonio v. TPLP Office Park Properties, Ltd. 155 S.W. 3d 365 (Tex. App.–San Antonio 2004, reversed, 218 S.W. 3d 60 (Tex. 2007); Davis v. Bexar County Sheriff’s Civil Service Commission, 775 S.W.2d 807 (Tex. App.–San Antonio 1989, reversed, Bexar County Sheriff’s Civil Service Commission v. Davis, 802 S.W.2d 659 (Tex. 1990), cert. denied, 502 U.S. 811 (1991); Fox v. San Antonio Savings Association, 751 S.W.2d 257 (Tex. App.–San Antonio 1988, no writ); Hardee v. City of San Antonio, 2008 Tex. App. LEXIS 3649 (Tex. App.–San Antonio 1998, no pet. ); Hopkins v. State of Texas, 2009 Tex App. LEXIS 8780 (Tex. App.–Austin 2009, no pet. ); Lakecroft, Inc. v. Adams, 2014 Tex. App. LEXIS 13601 (Tex. App.—Austin 2014, pet. denied); Miller v. Miller, 715 S.W.2d 786 (Tex. App.–Austin 1986, writ ref’d n.r.e. ); Morrow v. Rockwald Joint Venture No. 1, 2004 Tex. App. LEXIS 2821 (Tex. App.–San Antonio 2004, no pet. ); O’Conor v. Frost National Bank, 562 U.S. 836 (2010); Strain Brothers, Inc. v. Perrin, 611 S.W.2d 146 (Tex. App.–El Paso 1980, no writ); San Antonio Savings Association v. United States Internal Revenue Service, 1986 WESTLAW 11571 (W.D. Tex. 1986); Vamarie, Inc. v. Ball, 793 S.W.2d 749 (Tex. App.–San Antonio 1990, rev’d sub nom., City of San Antonio v. Fourth Court of Appeals, 820 S.W.2d 762 (Tex. 1991); White v. Resolution Trust Corp., Receiver for San Antonio Savings Association, 979 F.2d 209 (5th Cir. 1992); Wilson v. Dvorak, 228 S.W.3d 228 (Tex. App–San Antonio 2007, pet. denied). 1988-1990, Chairman, Fee Dispute Arbitration Committee. 1985-present, Board Certified, Commercial and Residential Real Estate Law by the Texas Board of Legal Specialization. Re-certified and approved after review by peers in Commercial and Residential Real Estate Law in 1990, 1995, 2000, 2005,2010 and 2015. Jones has served as President of the San Antonio Chapter of the American Board of Trial Advocates (ABOTA), a National organization of invitation-only, peer-reviewed trial lawyers, equally split between plaintiff and defense. 1977-1987 Author/speaker on real estate subjects at the American College of Real Estate, San Antonio and throughout South and Central Texas. 1983 Adjunct Professor, Real Estate Law, St. Philip’s College, San Antonio, Texas. 1988 Author/speaker on Texas Homestead Law at Agents’ Seminar sponsored by Title USA Insurance Corporation. 1989 Author/speaker on Holders in Due Course Under the Federal Common Law, Real Estate Law Section of the San Antonio Bar Association. 1990 Author/speaker on Effective Use of Stays in Litigation, 1990 Attorney’s Conference of the Texas Savings & Loan League. 1990 Author/Speaker on Special Defenses in Negotiating and Litigating with the Resolution Trust Corporation, Litigation and Dispute Resolution Committee of the Real Property, Probate and Trust Section at the 1990 Annual Meeting of the American Bar Association in Chicago. 1995 Speaker on Title Insurance Claims and Litigation, National Business Institute’s course on Mastering Real Estate Titles and Title Insurance in Texas, February, 1995. 1995 Speaker on Ethics and Guidelines for Business Practices, Joint Meeting of the San Antonio Chapters of Chartered Life Underwriters, Chartered Financial Consultants and Chartered Property and Casualty Underwriters, March 28, 1995. 1999 Author/Speaker on Transferring Title to Real Estate, Texas Real Estate Titles and Title Insurance, Half Moon, LLC. 2005 Author/Speaker on Beds and Banks. Enforcing Public and Private Ownership: Who Owns What?, at the Texas Water Law Conference, sponsored by CLE International. 2006 Author/Speaker on “Don’t Fence Me In”, Part Two: Rivers & Streams, at the Texas Water Law Conference, sponsored by CLE International. 2008 Author: San Antonio Prisoners: The True Story of the 1842 Invasion of San Antonio and the Imprisonment of Its Citizens, (San Antonio Lawyer, March-April 2008). Recognized by the Texas Bar of Journal as “Best Feature Article of the Year-2008”). 2014 – Present Speaker of Role of Lawyers in The History of Texas. Jones has tried cases to juries in Aransas, Atascosa, Bexar, Collin, Frio, Kerr, Nueces, Travis, Wilson, and Webb counties, and has handled other non-jury cases and disputes in those counties as well as Bandera, Cameron, Comal, Dallas, Denton, Gillespie, Guadalupe, Kendall, Kimble, Fort Bend, Hays, LaSalle, Live Oak, Limestone, Karnes, Medina, Starr, Gonzales, Harris, Galveston, Dallas, Real, and other counties. Appearing by special permission of the U.S. District Court in Montana, Jones handled litigation and the eventual sale of a 6,000+ acre ranch in Montana. He has also been allowed to appear by special permission in the Minnesota courts. He has personally argued cases before the Corpus Christi, El Paso, Austin and San Antonio Courts of Appeals, as well as the United States Court of Appeals for the 5th Circuit and the Texas Supreme Court. He has directly participated in other appeals to the Minnesota Court of Appeals and the United States Supreme Court. Jones was born in San Antonio in 1955. He is a 6th generation resident of South Texas, and is an avid photographer and amateur Texas historian. He has published two highly acclaimed articles on events and conflicts involving the practice of law during the early days of the Republic of Texas. He has been married to Connie Webb Jones since 1974, and they are the parents of two sons and one daughter, and the grandparents of three grandsons and one granddaughter.